Amongst all the lookalike Grass Yellow species in Singapore, the Chocolate Grass Yellow is the more distinctive and easy to identify. 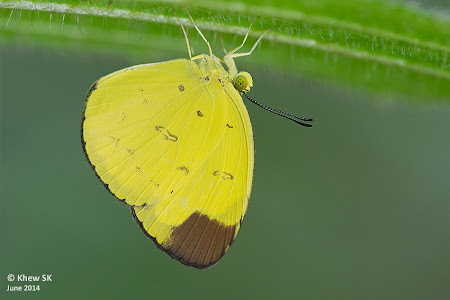 The large dark brown apical patch on the underside of the hindwing instantly sets it aside from all the other Eurema species. The Chocolate Grass Yellow prefers the sanctuary of the forested areas and is less often encountered in manicured urban parks and gardens. The species is often encountered puddling at muddy paths and sandy streambanks, sometimes in groups of a dozen or more individuals. 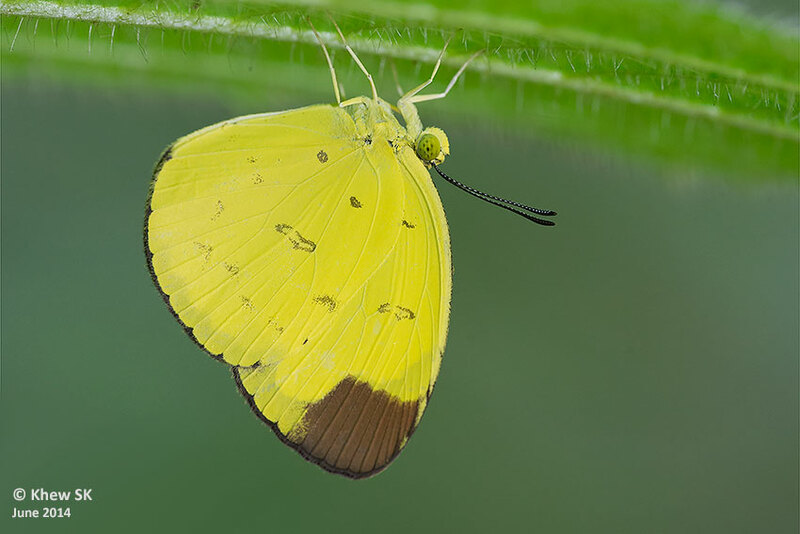 When it is disturbed, the Chocolate Grass Yellow has a habit of flying under a leaf to rest upside down, with its wings folded upright, as is shown here in this photo. Several other species amongst the Eurema also display this behaviour.